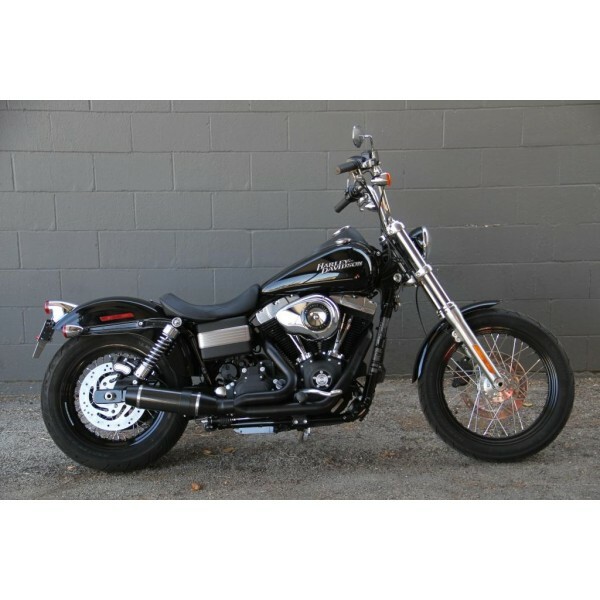 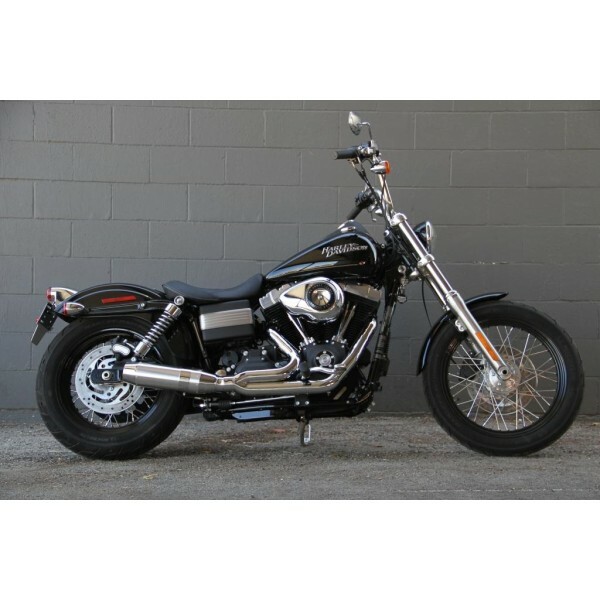 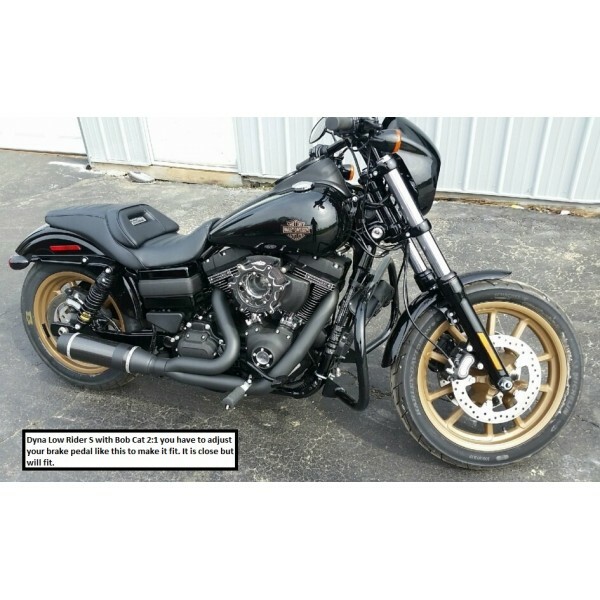 Will Fit 2014-2017 Dyna Low Rider and Low Rider S with minor adjustments to brake pedal. 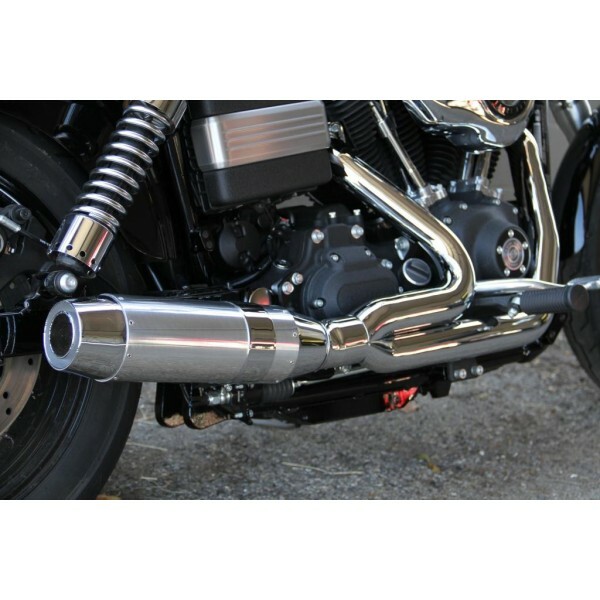 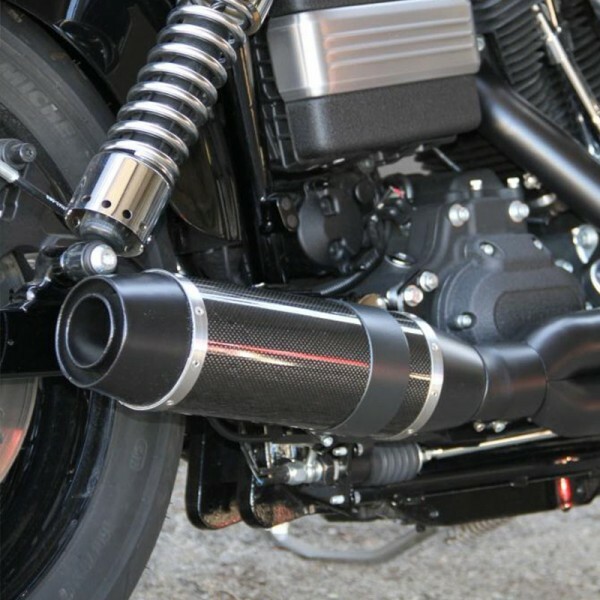 2006-2017 Harley-Davidson Dyna motorcycles D&D 2 into 1 Bobcat Exhaust pipe. 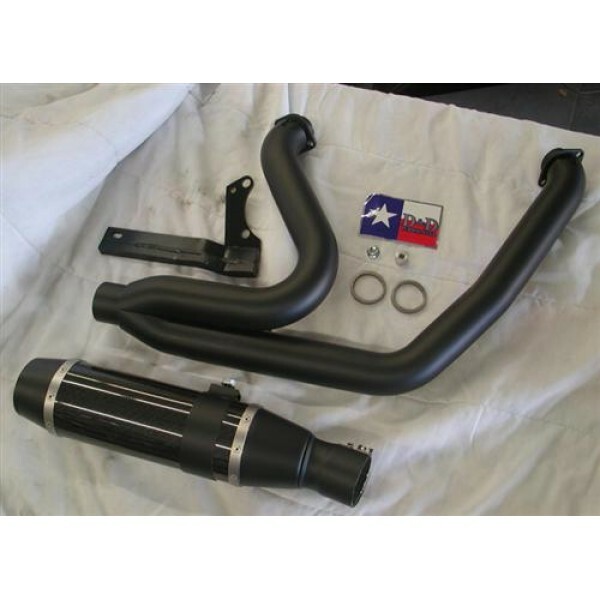 2:1 Bobcat is a stepped header system at the head is 1 3/4" to 1 7/8" at collector and 2 1/4" where the muffler goes to the header. 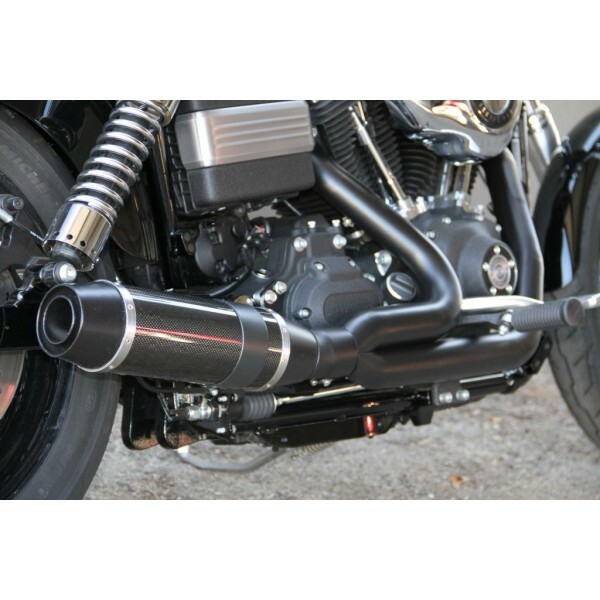 All Bobcat full systems are equipped with heat shields,bolt kit and baffles. 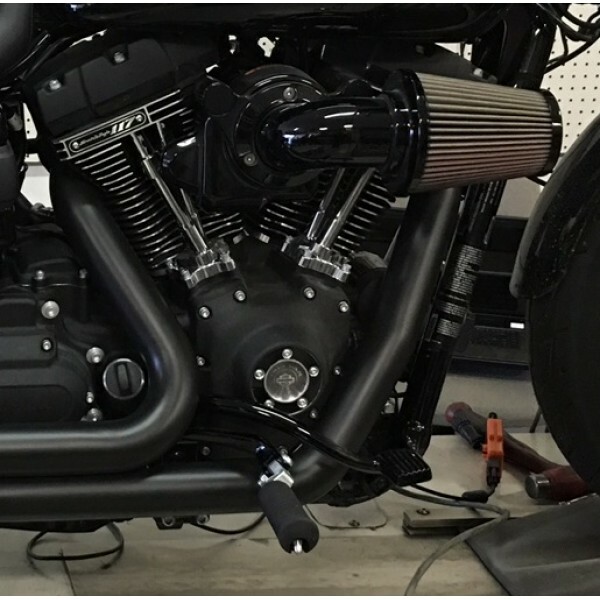 2006-2017 Bobcat comes with 12mm and 18mm O2 bungs for the stock 02 sensors that comes on the bike. 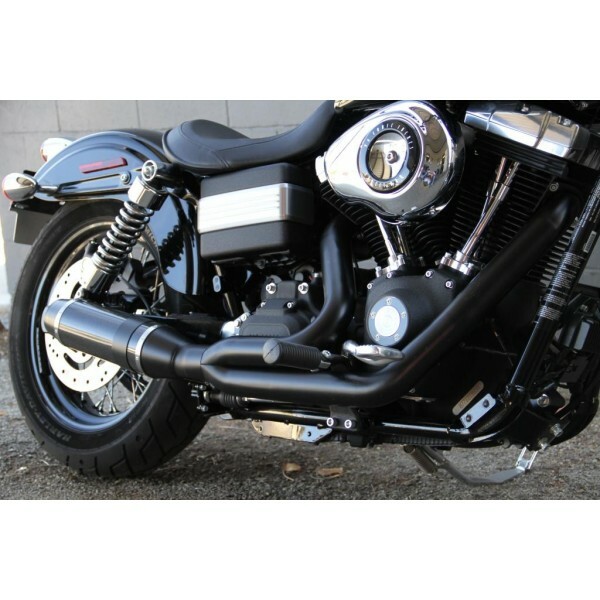 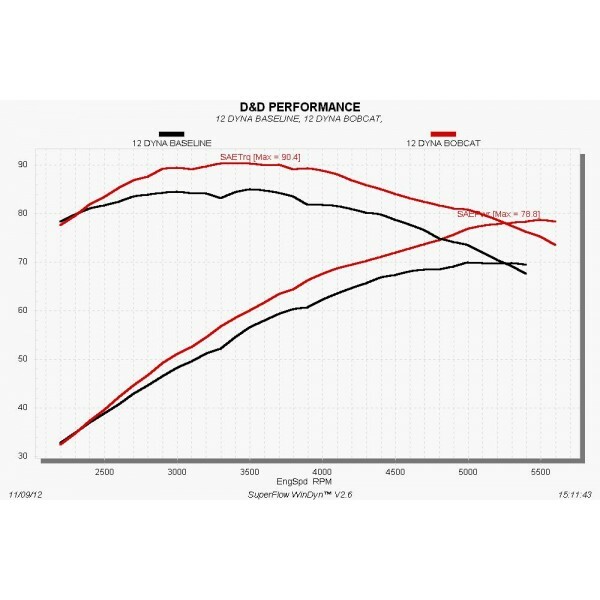 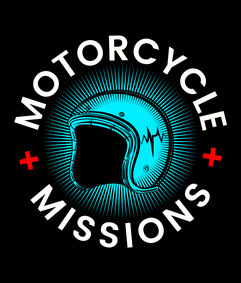 All 2006-2017 Dyna models are required to be retuned with our exhaust.